Despite a Christian family background, I have never managed to be a Christian in the way defined by most churches. I am not a ‘believer’, and could recite no creed without a sense of hypocrisy and conflict. But after many years of engagement with other traditions – Buddhist, philosophical and psychological – it has become increasingly clear to me that ‘belief’ is not what Christianity is most importantly about. It is quite possible to drink deeply of what Christianity has to offer, indeed to be ‘Christian’ in all the ways that matter – morally, spiritually and intellectually – without ‘believing’ such absolute propositions as that God exists, or that Jesus is the Son of God, or that Jesus saves believers from sin. Indeed, I will go further. Such beliefs have no positive practical effects on the lives of Christians, beyond being shortcuts to group conformity which may also have many negative effects. That is the conclusion of an argument that will be unpacked as this book progresses. But this book is not merely about the disavowal of Christian ‘belief’. It is also about something much more positive: the value of the meaning and faith that people find in their experience of the Christian tradition. Later I will go into the question of exactly what I mean by terms like ‘meaning’ and ‘faith’, but for the moment let us just mark them out as the bearers of all that is good in Christianity. It is God, or Christ, who inspires Christians to campaigns of justice and acts of love: not because they have committed themselves to abstract propositions about God, but because they experience the inspiration of God, who fills them with positivity and confidence. Belief is in no way necessary to inspiration and faith. In the meantime, the ‘belief in’ God and his revelations tends to inspire only inner repression, narrow partisan defensiveness, and even holy war. You can certainly leave Christianity but it does not leave you. Your liberation from it is delusion. Christ is the way. You can certainly run away, but then you are no longer on the way. What I take Jung to mean by this is that Christ, as an archetype, fulfils a certain function in the psyche, and for those who are culturally Christian, that function is not easily fulfilled in any other way. ‘The way’ for each individual leads from their starting point to their destination, and if one denies the full conditioning effect of one’s starting point, one’s way may be lost. I have dedicated this book to my late father (a Baptist minister) – not because I would expect him to necessarily agree with everything in it, but because he provided me with an early experiential sense of the potential value of Christianity which I am only now beginning to recognise has sustained me throughout my life. My father observed the Christian conventions: but it was always clear, when you asked him about what was most valuable to him, that in his experience God is love. Love is an experience, not a belief. I have returned to the re-engagement with Christianity marked by this book after the development of a practical philosophy that I believe to be applicable in the context of any tradition: Middle Way Philosophy. Despite its name, Middle Way Philosophy only owes some aspects of its inspiration to the Buddhist tradition, and is not dependent on that tradition. Instead, it understands the Middle Way universally, as a principle of human navigation. Given our embodied nature and our uncertainty, we can have no justification for choosing absolute beliefs that lie beyond that experience. However, what is distinctive about the Middle Way approach is the equal recognition that we have no justification for denying absolute beliefs. This creates a radical agnostic alternative that also steers us well clear of relativism, postmodernism, atheism or any other positions that are widely interpreted as being based (explicitly or implicitly) on such denials. If we don’t know, we need to follow through the implications of not knowing even-handedly. Agnosticism has been very unfairly treated by a popular tradition – both religious and atheist – that has failed to understand its potential. There is nothing wishy-washy, indecisive or necessarily vague about the agnosticism I will be recommending in this book. Indeed, it takes considerable resolve to avoid the magnetic pull of absolute affirmation or denial, together with the social institutions that entrench that duality. These opposed social institutions could most obviously be the institutions of the church versus secular humanist movements, but might just as easily be illustrated by the entrenched opposed sides arguing about abortion, or about whether Islam is or is not an intrinsic threat to liberal democracy. Nor is agnosticism only about God: wherever there are absolute beliefs on either side (for example, about freewill and determinism, mind and body, or any kind of absolute categorisation or boundary) agnosticism offers a challenge, in the form of a brave flag of peaceful resistance raised in between the lines of the warring armies. It has taken me a long time to realise what a profound part agnosticism plays in Christianity, and helps to explain all that is best and most inspiring about it. No, ‘Christian agnostic’ is not a contradiction in terms, and I will be exploring some of the many ways that Christianity is and can be agnostic in this book. These begin with the basic recognition that we, as humans, are not God: that God is infinite and beyond us, an object of holiness and awe. They can continue with the responsibility for our own lives indicated in the story of the expulsion from Eden. Since we live in a post-Eden world, we live in an experience of uncertainty in which meaning is not written on the heavens – rather it is found in our bodies and brains. The intense pain and conflict created by that state is symbolised by Christ’s crucifixion: an event that could hardly have the same sting for us if it was merely the unfolding of a set of pre-determined events, part of a story staged by a heavenly father. It is perhaps only if we feel the abandonment that Christ himself expressed on the cross, being prepared to let go of all reassuring ‘belief’, that we can find the resurging hope symbolised by the resurrection. The Middle Way in Buddhism and in Christianity takes an apparently very different form, but an underlying similarity can also be found. In Buddhism the Middle Way is exemplified by the investigatory process that the Buddha (a man who lived in India about 500 BCE) went through: first going forth from a privileged life of merely conventional morality to a homeless life of spiritual searching. He is there said to have encountered spiritual teachers and ascetic practitioners from whom he learnt much, but whose absolute beliefs he eventually found inadequate and moved beyond. It was only after experiencing these two extremes that the Buddha is said to have discovered the Middle Way, relying instead on his own experience to find a more balanced and adequate path of spiritual progress that avoids both absolute and relative assumptions. Christianity, on the other hand, does not primarily represent the Middle Way through a quest, apart from Jesus’ more limited withdrawal to the wilderness, which does have some resemblances to the Buddha’s quest that I will be discussing. The main way Christianity represents the Middle Way, instead, is through the symbolism of the incarnation. Instead of finding the Middle Way, Christ is the Middle Way. In the Nicene Creed he is described as both wholly divine and wholly human, a categorisation that shows the Early Church apparently struggling to confine a living experience into the box of a conceptual certainty. Instead of going through a process of discovery, what Jesus does is to constantly challenge our pretended certainties and their associated positions of power. He challenges the rich and powerful, challenges the complacent, challenges legalism and challenges our failures of love. Instead of a long career of carefully balancing different interests, such as the Buddha seems to have had, Jesus had a short and explosive career culminating in dramatic demonstrations of his ambiguous nature. Christianity is primarily a faith. ‘Faith’ has often come to be a euphemism for absolute belief, but on the contrary, I want to suggest, faith can involve the positive avoidance of absolute belief and the positive embrace of uncertainty. One does not have faith because one expects certainty in the future, but rather because one recognises that the human state is one of uncertainty. Faith by its very nature needs to be provisional: a recognition of aspirations whose meaning may be infinite and vastly significant for us, but nevertheless cannot result in absolute belief, because any such belief is recognised to undermine rather than to support that faith. In a state of faith, we are orientated towards a meaningful God whom we experience: a God who offers an archetypal foretaste of an integrated self and an integrated world. But such a God could only be meaningful to us in such a way if we remain uncertain even about his very existence, let alone about such claims as that he created the world or sent Jesus as his son. Such faith, then, I want to argue, excludes belief in revelation. To believe that God sends us messages requires an absolute presupposition that God exists and is of a particular nature: a presupposition that in our uncertain and embodied state we are not entitled to make. In a post-Eden existence, we are also required to take responsibility for our own interpretation of whatever texts or other sources of information we encounter, and the granting of absolute authority to any such text, or even to a believed-in historical figure, involves an avoidance of that responsibility. It is us that give authority to the Bible or to any other source through the values we attribute to it. Scriptures may offer us inspiration, but do not, above all, licence us to give absolute authority to words that have actually been interpreted by us, and thus by stealthy bad faith claim absolute authority for ourselves. It is that kind of bad faith that, above all, has led me to keep my distance from Christianity for many years, and I do not think any better of it now. But I do not think such bad faith is essential to Christianity. There are thus no arguments from the authority of scripture, or from the authority of historical events, in this book. Rather, there is acknowledgement of inspiration from scripture or historical events, and of our responsibility for interpreting them and justifying our view of them. To appeal to a source of this kind, we assume that claims that we interpret them as making must be true because of that source, rather than subjecting any such claims to critical investigation. In the process, we probably confuse the meaning and inspiration of the source for us with an appeal to its authority: but it can be deeply meaningful to us without being appealed to. There will be much discussion, for example, of the gospels in this book, but not an appeal to them. There can be no justified authority that is not earned, directly or indirectly, through the experience of those who heed it. No matter how reliable a source is, it also never becomes absolute. This book, not being based on them, is thus also not amenable to criticism on the grounds of the authority of scripture or of historical events. If a scholar or cleric tells you that Jesus did not actually say this or that, or that a particular stance is not ‘Biblical’ or not ‘Christian’ (according to his or her definition of ‘Christian’), then I do not care, and I suggest that you should not care either. The importance of Jesus in our lives does not depend on who he actually was, whether he actually existed, whether he was actually the son of God, or whether the stories told about him are true – rather, it depends on how we choose to interpret those stories, interpret his advice, and interpret his traditional status as the son of God. It depends on the way Jesus’ teachings and example actually affect our lives. 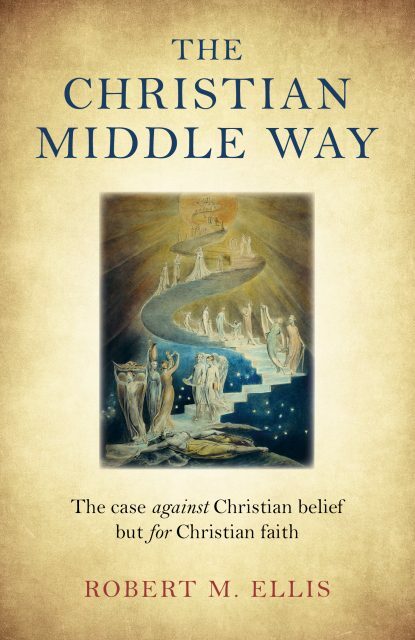 My sole justificatory criterion in this book is the Middle Way: that is, based on what moves people helpfully towards positions that can be recognised, justified, applied and practised in experience – and thus what avoids the dogmas that interfere with that process. If you need more detail on that approach than I can provide in this book, then I must refer you to my ‘Middle Way Philosophy’ series, in which it is presented in considerable detail with reference to philosophy, ethics, psychology, neuroscience, and spiritual practice. The approaches here are genuinely open to criticism, but in relation to that framework. If, rather than appealing to authority, you can show me that I am not helping people to engage with what is most meaningful and genuinely helpful to them, once it has been understood in that wider context, then I hope I will reconsider. The Christian tradition of the last two hundred years or so has proved to be a remarkably fragile tradition. So naïve was the faith of many Christians that it has been decimated by scientific progress in astronomy, geology, biology and psychology, with this damage then compounded by the even more profound effects of consumerism in distracting people from the religious life itself. But the fragility that made that damage possible is caused by absolute belief: belief that must discontinuously either be held fast or broken. In many cases belief in Christian ‘truths’ has been broken. In others it has been retrenched into a fundamentalist version that is no less fragile, but maintains itself by actively ignoring and repressing alternatives: relying on the vacuum left by a religious education that, where it exists at all, often either inculcates or impotently compares absolute beliefs. That the ‘new atheists’ can often get away with their assumptions that Christianity as a whole must be rejected because it must be defined by absolute beliefs, is a further indication of this fragility. But Christianity offers a lot more than these fragile ‘beliefs’. The more I consider and re-read the most inspiring Christian figures from the past, the more it seems that they offer. Of course, much of what is written by or about them makes regular reference to Christian belief. Amongst those who stress it most, one is more likely to find those who are often labelled as narrow-minded oppressors, inquisitors, crusaders and bigots. But alongside this there is a whole culture of Christian meaning. That culture is one in which loving, creative and courageous action is inspired by the integrative spirit of God and of Christ, engaged in the resolution of conflicts both within and beyond ourselves. I see it especially in the mystical saints of the medieval period, in the artistic tradition that peaked in the Renaissance, and in the more mystical but socially active tradition of the Quakers. But there are countless other Christians in whom one can find it to varying degrees: saints, churchmen, social reformers, missionaries, and lay people in every walk of life. One of the major thinkers to point out and develop an alternative to fragile Christian belief has been psychologist Carl Jung. Jung famously said that he knew God but did not believe in him: which I take to be his way of saying that he found God overwhelmingly meaningful but this meaning did not imply belief. The recent and long-delayed publication of Jung’s ‘Red Book’, in which Jung recorded his visionary experiences around the time of the First World War, offers an extraordinary resource for those who want to support a more robust, more adequate, agnostic Christianity. Jung offers us an approach to God as an archetype representing aspects of our own experience. However, most importantly in the Red Book, he makes it clear how the archetypal explanation is not just an intellectualisation or ‘explaining away’ of God. On the contrary, it is the gateway to a fuller and more awe-inspiring experience of him. In the Red Book, Jung constantly wrestles with God and his nature much as the earlier Christian mystics did, not despite but because of his recognition that God is an expression of his own inner experience. In experiential terms, an archetypal God is not an inch ‘unreal’, but rather ‘more real’ than any projected external version. There have been many attempts to reform and renew Christianity, from Martin Luther to the Iona Community. These all in some way protest, as Jesus did, against rigidity, formalism and the abuse of power – offering instead a community of the living God or living Christ as they experience it, often linked to ecclesiastical, social or political reform. If these reforming movements wish to succeed in the longer term, however, my argument is that they need to find the Middle Way. It is by consciously avoiding the negative absolute (where absolute beliefs are taken to be false) as well as the positive absolute (where they’re taken to be true) that cycles of reaction, rigidification, and polarisation can be avoided. Another important reason why Christians need the Middle Way depends on its universality. Christianity as mere belief, as appeal to revelation, is as divisive as any other absolute belief. It does not matter if that absolute belief is a belief to which the idea of ‘peace’ is attached: the result will nevertheless in some respect be conflict, if there is no possible way for experience to intercede between those who hold those beliefs and those who deny them. As long as Christians cling to absolutes, their message of peace and love will also transmit the virus of absolutism which will directly undermine that message. Whatever denials are made, the Crusades, the Inquisition, the division of communities in Northern Ireland, the Catholic clerical abuse scandals, and many other abuses will remain on the Christian conscience, because the underlying cause of them in narrow-minded over-confidence will still be harboured in the Christian tradition. But on the other hand, an interpretation of Christianity in harmony with the Middle Way will allow them to join with those of many other traditions, each of which can also be interpreted in terms of the Middle Way, for a shared and genuine engagement with the roots of conflict. It is not that all religions are already one, but rather that the unnecessary barriers between them can indeed be removed, if they are prepared to go through a balanced process of experiential self-scrutiny. Christianity is above all a religion of divine love. As St Paul wrote, “I may have faith enough to move mountains, but if I have no love, I am nothing.” But love is also seemingly the quality that most quickly becomes forgotten or formalised in Christian practice. I want to argue that love is inextricable from wisdom, just as emotion is inextricable from reason. We genuinely love others, not when we merely aspire to feel goodwill towards them, but when our beliefs about them are open and provisional enough to recognise good qualities alongside bad, a friend in every enemy. The avoidance of absolute belief is not just about doctrine, but about people too. All those who want to practise the religion of divine love, I would argue, should practise the Middle Way in the way they interpret that religion. My case is against Christian belief but in favour of Christian faith. The two are, of course, not synonymous in the way I am using them here. To make this case clear I will need to begin by exploring these terms and their meanings, in the process including psychological and brain perspectives as well as philosophical ones. What is belief? I will define it as any representation of the world or of ourselves, implicit or explicit, that we hold firmly enough to affirm or enact. Though there is a widespread association of the word ‘belief’ only with religious belief, beliefs are much more varied than that. I believe that it will rain tomorrow. I believe that London is the capital of the UK. Such beliefs are explicit when we consciously refer to them or reflect on them, but a lot of the time they are implicit, merely being assumed in the background as the basis of our actions. The Prime Minister of the UK doubtless continues to believe that London is her capital, but I’d be rather surprised if she explicitly reflects on this point very often, even though a great many of her actions take it for granted. She has other things to think about. The same goes for many of our other beliefs in everyday life. I believe that the chair will support me and not collapse when I sit on it, but am unlikely to explicitly reflect on this point unless it shows signs of breaking. My perspective on belief here is developed from embodied meaning, an approach to meaning developed on the basis of substantial linguistic and psychological evidence since the 1980’s (by George Lakoff and Mark Johnson), which clearly up-ends many of the traditional assumptions about belief as well as meaning. Under embodied meaning theory, the meaning of words (as well as other symbols such as visual art and music) is most basically formed by the development of synaptic links which at least mildly re-enact our active, embodied experience when stimulated by symbols that become associated with those experiences. According to embodied meaning theory, at the basic, initial level there is a direct association between an experience (let’s say that of seeing, touching or climbing a tree) and a word (‘tree’), or a more schematic experience (say of one thing going inside another) with a word like ‘in’. As we go on, though, our vocabulary expands through metaphorical extension of these basic categories and schemas, so that we can categorise more generally or specifically (‘oak’, ‘plant’) and talk in more abstract terms that implicitly relate other situations back to this basic one (‘dendritic drainage’ dependent on ‘tree’, ‘field of study’ dependent on ‘in’). Our metaphors can become the basis of whole cognitive models, in which a set of inter-related ideas are all dependent on the same metaphorical structure: e.g. the metaphor of medicine as warfare inspires ‘bodily defence mechanisms’, ’attack of fever’ etc, and in this way the meaning of even the most abstract terms can be recognised as dependent on associations with bodily experience. Contrary to this approach, analytic philosophers (along with their theological and scientific allies) tend to define belief in purely explicit terms, and meaning in terms of the conditions for true belief. For them, meaning is subsidiary to belief: a position that starts from a basically disembodied perspective in which a rational observer makes claims about the world without any particular role for the body in which that observer is placed. There is also a Wittgensteinian variant on this view of meaning that reduces it, instead, to socially-mediated use: but such an account only tells us about the social origins of linguistic conventions, not why those conventions are meaningful to us. Meaning in this deeper sense is a matter of experience, not either of social usage or of truth-conditions. These disembodied ways of thinking about meaning are well entrenched in Western thinking, but I would argue that that they have a basic incompatibility with the Christian recognition of the human body as a positive thing in the image of God (see 4b below). Instead, if meaning is dependent on bodily experience, belief must be understood in turn as formed out of that meaning. Meaning and belief are thus distinct only in their degree of entrenchment and their practical importance, the boundary between them being vague. Meanings can be associated with individual words or symbols as well as with sentences that make claims (propositions), but it is only when the meanings attached to claims are strong enough for us to act on them (whether we actually do so or not) that we can start to call them beliefs. One important implication of this new approach to meaning and belief is that art and music can be recognised as fully meaningful in the same way that words and sentences are. No absolute distinction needs to be made between ‘cognitive meaning’ (the meaning of words as you look them up in a dictionary) and ‘emotive meaning’ (the ‘emotional’ associations of words), and both art and music can be credited with a degree of cognitive meaning as well as emotive – for a musical phrase (for instance) can be associated with particular bodily experiences just as the word ‘tree’ can. For Christians, this means that Bach’s cantatas or Michelangelo’s paintings in the Sistine Chapel can speak of God as directly as any theologian, if not more directly. It also implies that stories (whether or not the stories are ‘true’) can be strongly meaningful to us without that meaning being dependent on belief. Philosophers trying to account for our relationship to stories on the basis of the traditional account of meaning and belief have to introduce clumsy mechanisms like ‘suspension of disbelief’, which are really not necessary when we recognise meaning as prior to belief. Instead, we find stories acutely meaningful because of the strong associations they evoke for us. Our reading of the situation of characters in a story evokes similar bodily sensations in us as those we would expect them to be experiencing. At the same time, that imaginative meaningfulness falls short of what would be required for us to act as though the story were ‘true’ in the way that we take our everyday environment to be. For example, if I read from Tolkien’s fantasy Lord of the Rings that Gandalf rode to Edoras on the noble horse Shadowfax, I can fully imagine the character of Gandalf, the environment of Edoras and the appearance of Shadowfax, thanks to Tolkien’s vivid accounts of them elsewhere. The embodied meaning of these things creates an imaginative experience, so that I can, in a limited way, experience the associations involved in riding across the plains of Rohan towards the ancestral halls of King Theoden. But I do not believe in them in the sense that I could expect to meet Gandalf in person, to ride Shadowfax, or book a holiday to Edoras. Nor do I disbelieve them in the sense that I would write to the publisher protesting at the ‘lies’ I read in Lord of the Rings. I find the story highly meaningful – meaningful enough to re-live it through my synapses, but I neither believe it nor disbelieve it. No ‘suspension of disbelief’ is necessary. This, again, has massive implications for religion. We live in a society where the topsy-turvy view of belief as prior to meaning has become so engrained that the word ‘myth’, once a highly significant archetypal story embedded in a cultural tradition, has often come to mean ‘falsehood’. To remark that the Bible is full of myth and story, I must emphasise, is not to say that those stories are necessarily untrue. Rather it is to point out that their truth or falsity is not and should not be the main way in which we relate to them. I read of Gandalf riding across the plains of Rohan, and this is neither to be believed or disbelieved, just highly significant. When I read of the expulsion of Adam and Eve from the Garden of Eden, or the trial and crucifixion of Jesus, these stories are likewise highly meaningful. But just as I do not expect to meet Gandalf or book a holiday to Edoras, and thus do not ‘believe’ in Rohan, I likewise do not expect any archaeologist to find the graves of Adam and Eve or the site of Eden. Perhaps the chances of finding more historical confirmation of Jesus’ crucifixion are greater, but this would be a side-issue from the fact that its significance to Christians does not depend on any such historicity. They don’t find the crucifixion meaningful because they believe in it: they believe in it (if they do) because they find it meaningful. So what does happen when Christians adopt a ‘belief’ in facts or events which do not have immediate practical application: a belief that say, Jesus is the Son of God, as opposed to a belief that their chair will not collapse when they sit on it? Obviously such Christians feel just as strongly about such a belief, if not more so, than they would about an everyday matter. They might be offended if you tell them that their house does not ‘really exist’, just as if you tell them that their god does not ‘really exist’. But such a belief would have no force for them if it did not in fact have a practical application that constantly reinforces it, even though this practical application is less direct than is the case with everyday beliefs. Instead of an immediate direct practical application, I want to suggest, such beliefs have practical importance as verbal formulae shared in the Christian group. It is important to be able to say “I believe in God’s saving grace sent through Christ”, for example, because the sharing of that belief is a badge of group-membership, and often a perceived condition of acceptance and status in the group. These kinds of beliefs are special, and marked out for that specific purpose in group membership, because they are absolute. Absolute beliefs are distinguishable from provisional ones in a variety of ways. They assume the traditional account of meaning I mentioned above in which belief is prior to meaning (which I call representationalism). They can only be true or false rather than justified to a degree. They are constantly opposed to the opposite belief – that which declares what they believe as true to be false or what they take to be false as true. They are closely associated with a group that constantly reinforces those beliefs as the price of acceptance, as already mentioned. Absolute beliefs also repress all alternatives apart from the opposites that they recognise and oppose. Such alternatives tend to be denied or ignored, or perhaps ridiculed or dismissed if they insist on making themselves known. Because no alternatives can be considered, absolute beliefs are not capable of modification in the light of new experience: as long as they remain absolute they are fragile, allowing only a dramatic conversion to the opposite. The belief that ‘God exists’, or that ‘Jesus is the Saviour’ is a classic Christian example of this type of absolute belief. These beliefs are absolute, firstly, because they assume a view of meaning whereby such statements gain their meaning by lining up with reality rather than having an impression on our wider bodily experience. Indeed, their meaning is assumed to be independent and eternal regardless of us or our bodies: God, it is assumed, would exist quite independently of us. These beliefs can only be absolutely true or false: God cannot partially exist and Jesus cannot be a saviour to a degree. They are opposed to opposites who deny them: for example, atheists who deny the first or Muslims and other religionists who deny the second. They are closely associated with the Church, which provides full acceptance and status as Christians only to those who accept these, together with the other absolute beliefs expressed in the Creed. Finally, these beliefs repress all alternatives, as can be seen by their treatment of agnosticism, which is consistently misunderstood, ignored or even ridiculed (a good sign that agnosticism is a far bigger threat to the rigidities of Christian orthodoxy than atheism has ever been). The relationship between absolute beliefs and groups can be readily seen in the series of cognitive biases that psychologists have identified through experiment as identifiable features of groups. These are social proof, ingroup bias, groupthink and false consensus. Social proof is the tendency to believe that a claim is true merely on the basis of it being accepted by others in the group. A belief that is emphasised by the group but has no other justification beyond it (an absolute belief) is clearly subject to social proof. This is compounded by ingroup bias, which makes us judge those beyond the group by different standards from those within it (thus enabling agnostics to be dismissed). Groupthink means that judgements in the group are made on the basis of peer pressure. False consensus, makes us overestimate the consistency of both favoured beliefs within the group and opposed ones beyond the group. Such biases, constantly reinforcing the relationship between absolute beliefs and group conformity, do not necessarily mean that we are doomed only to act unreflectively as a herd, nor that group association itself cannot take them into account and avoid them. Human beings are social animals, and even the most solitary of us needs the support and solidarity of others. The approaches and methods of how we can more broadly avoid absolutisation as a response to cognitive bias is one I have discussed in more detail in my Middle Way Philosophy writings. It is practice of various sorts, formed on the basis of anticipatory awareness of our likely errors, that can gradually help us turn a conformist group into a relatively critical one: but prime amongst these is incrementality of acceptance, that we do not set up acceptance of absolute beliefs as a discontinuous hurdle to acceptance into a group. Rather we need to base our group solidarity on experience of each other – on mutual trust which is always to some degree conditional rather than unconditional. Only God’s love can be unconditional, and we are fooling ourselves if we pretend to have it in human relationships. Nor, if we hold absolute beliefs, does that necessarily make all our judgement inadequate. As already noted, the vast majority of our beliefs are practical ones involving direct interaction with our environment. Because I believe God exists and say, hold fast to a fundamentalist group, does not mean that I cannot have adequate beliefs about, say, geography, or car mechanics. The problems arise only when the group’s beliefs become the basis of judgement, and because of the need to remain accepted by the group, we absolutely oppose the opposite, or repress any alternatives that may actually be more adequate. If the absolute beliefs of the group required me to believe that the earth was flat, I would make sure to interpret all the evidence in those terms, and if I ever had cause to fly around the earth would make sure there was a rationalisation handy that would not imperil my group membership. Also, of course, if these beliefs were threatened by someone claiming that the earth was round, I would oppose them. But most of the time, a belief that the earth is flat need not impact on my relationships with neighbours, my conduct of my job, or my upbringing of my children. Nevertheless, absolute beliefs are unhelpful, and there always remains a likelihood that their rigidity and inadequacy will start to have a direct practical effect on my actions. When the environment changes, as we saw with the impact of nineteenth century science on contemporary Christianity, the fragility of absolute beliefs prevents us from adapting. The core problem is not just ‘absolutism’ or ‘extremism’ – token words which are widely used to differentiate ordinary religionists from unacceptable ones without further investigation of what they mean. Instead, fundamentalists are merely those who are most obviously dominated by absolute beliefs that we all have. Nor, on the other hand, are absolute beliefs only a problem for Christians or other religious believers, but they can rather be found in many other contexts, such as politics, science, ethics, health, views of ourselves, views of others and so on. The new atheists constantly neglect this point in singling out ‘religion’ for special censure. Nevertheless, the vast majority of Christians still tend to think of their religion in terms of absolute belief. As I shall argue throughout this book, this is both unnecessary and unhelpful. So far, perhaps, I have offered some initial indications as to why it is unhelpful, but the evidence for this will continue to mount as I go on. As to why it is unnecessary as an interpretation of Christianity and what it offers the world, this will be my focus from chapter 3 onwards. See, inter alia, Lakoff (1987), Johnson (2007), Lakoff and Johnson (1980). I also discuss this in more detail in Ellis (2013b) section 1. See Ellis (2015) section 3 for extensive evidence of these features of absolute belief, surveyed in relation to cognitive biases.